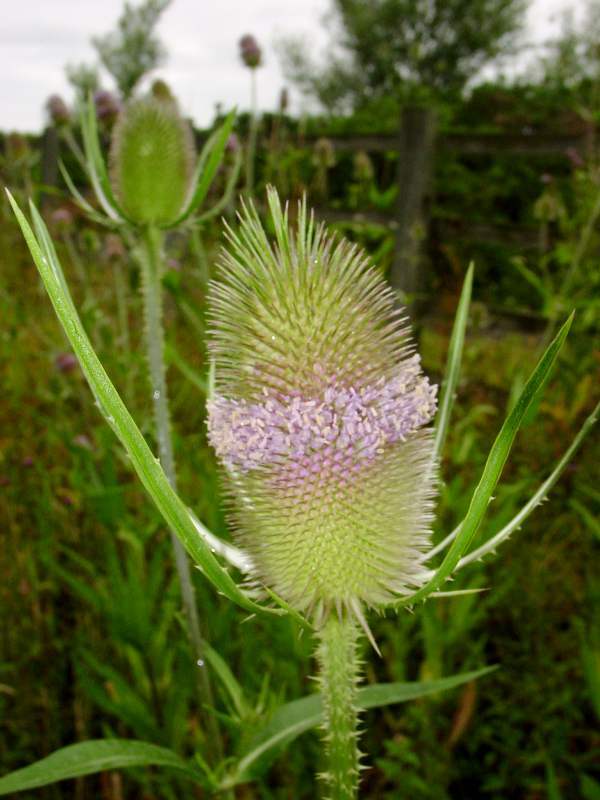 The Teasel is a close relative of the various species of honeysuckle and scabious. 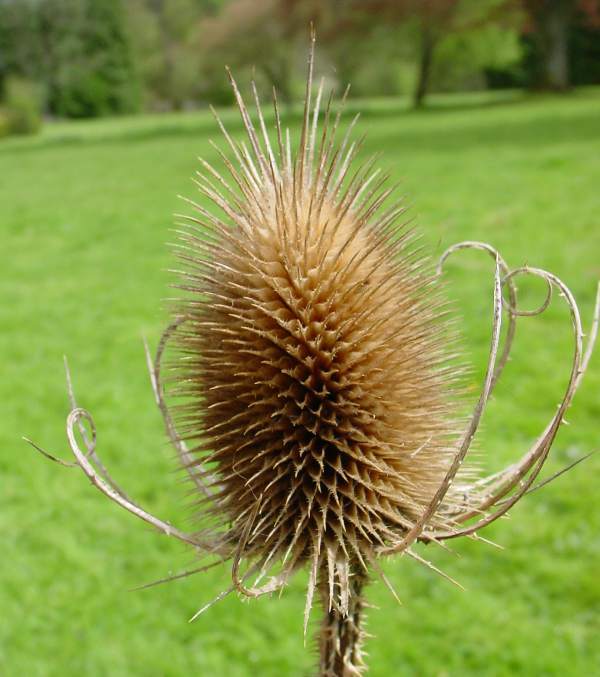 Teasels are stately plants, sometimes reaching a height of 2m and rarely less than 1m. There are numerous sharp thorns all the way up the stems, which are sometimes branched, and a ellipsoidal flower head at the tip of each branch. 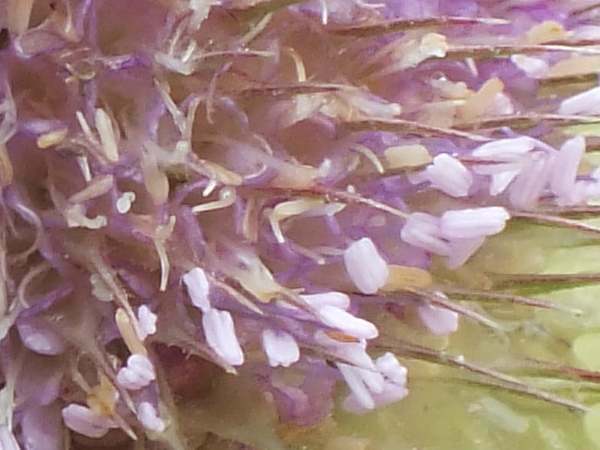 The tiny pinkish-purple flowers open in rings around the flower heads, whose seeds turn brown in late autumn and then usually persist through the winter months. Found throughout Britain and Ireland, but more common in the south, Dipsacus fullonium is native to Europe, Asia and North Africa; elsewhere in temperate regions - including North and South America, Australia and New Zealand - this is an introduced alien species. This tall riverside and disturbed wasteland plant is particularly common beside the upper River Severn near Llanidloes in Wales, but there also are plenty more placeswhere you will find them. They can often be spotted on motorway verges and sometimes in field margins. The pale purple flower heads are at their finest in July and August. Many people like to pick Teases and keep them as dried flowers for indoor decoration. As with all wild flowers, taking too many from one place can only mean fewer flowers in future years. (We took just these photographs.) Birds, including the lovely Goldfinch, are attracted to the seeds of these flowers in late summer.